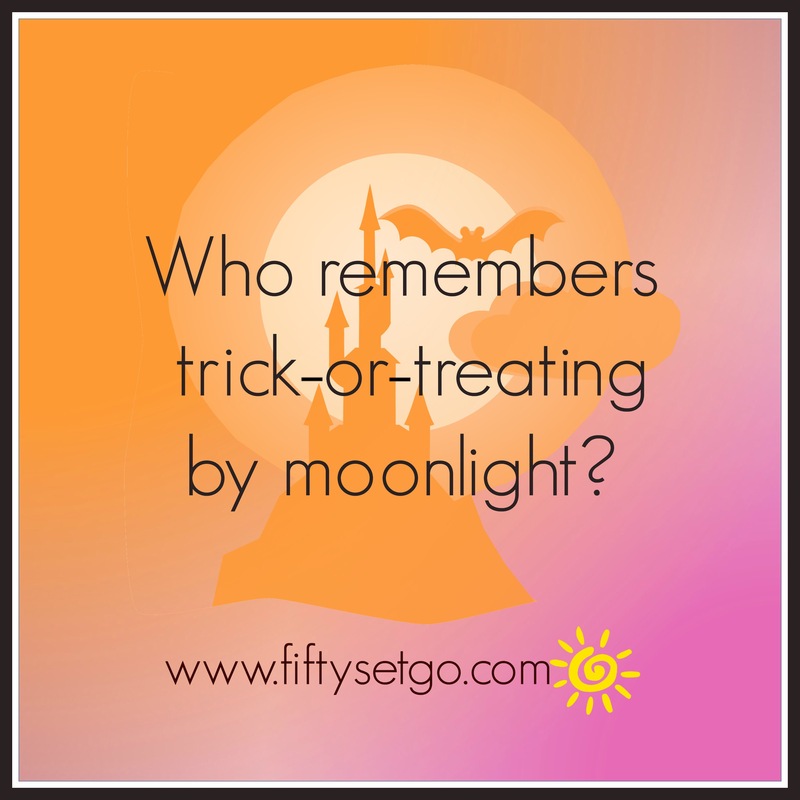 halloween | FIFTY SET GO! I used to love Halloween. I loved sitting outside and handing out candy to the sweet kids. Then it all changed. One year, the kids became greedy. They complained if they didn’t like what I had. Older kids started joining in, sometimes pushing the little ones out of the way for the good candy. The year I had adults coming to the door, I stopped participating. That was probably ten years ago. The upside? I save a TON of cash not buying candy. I know of some who spend upward of $500+ on candy. REALLY?? Who does that? Now I am the ogre who either stays away from home until 9pm or sneaks in and leaves the lights off. How will you spend Halloween? Every Halloween as children, my brother and I would don the year’s awesome, homemade costumes, climb into the back of the car with our paper grocery bags, and be driven into town to trick or treat. The parents never let us out of their site. We never went with friends. We could meet friends out and about, but we always returned to the car to head to the next stop. At the end of he night, we would return home and give our bags to the mother. She would go through every item in the bag. Anything homemade or with a questionable wrapper was thrown away. We would protest, especially about the homemade popcorn balls and candy apples from the sweet, little old lady in town. She would tell us that they probably had needles or razor blades in them, and no one could be trusted. Only packaging that had not been tampered with was safe. Apparently these things happened in the cities in the 70’s, and we could not be too careful. The candy examination would end with two bags and a bowl. One bag for me, one for my brother, and a bowl for the parents. Yes, she made her own bowl. She would remove from our bags all Butterfingers, Almond Joys, Snickers, malt balls, candy corn, and anything else that looked good to her at the time. Those things were placed in the bowl, and we were informed that was our payment to them for taking us “all the way into town on a school night to tricker or treat.” Heaven help us if we ever ate anything out of that bowl. She knew. She always knew. I was 13 the last time I went trick or treating. I don’t remember the costume, but I remember sitting in the back of the car squirreling candy corn away in my training bra so I could hide it in my room. That year, I had candy corn. I love candy corn. Probably because I was denied it in my formative years. I can eat an entire bag in one sitting. I feel sick after, but I can’t help myself. How about you? 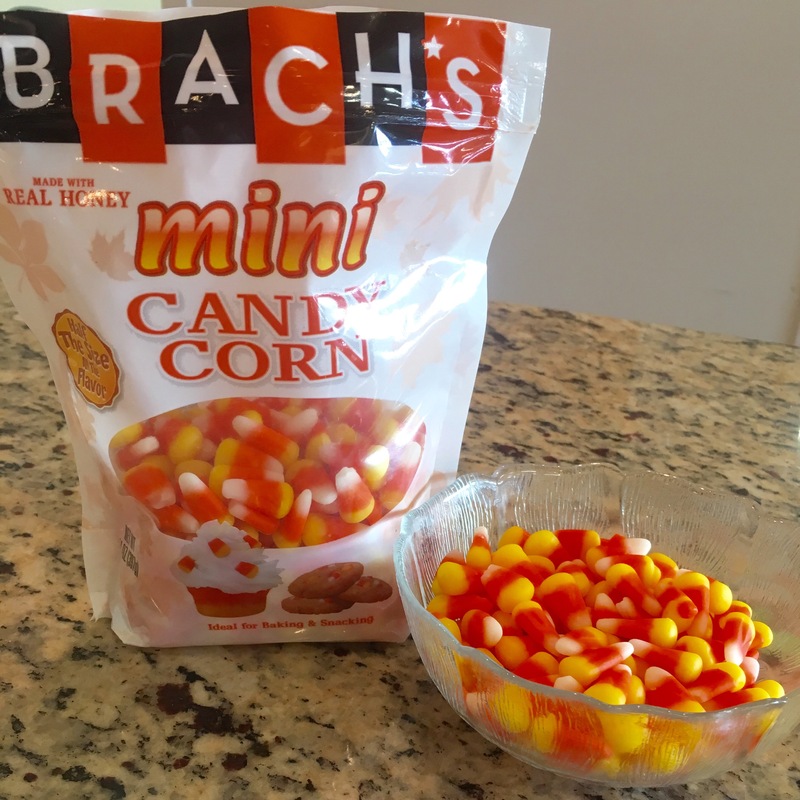 Candy corn, yay or nay?